Jason Segel: I've never told Piggy this, but my secret goal was to reunite Kermit and Piggy. It's been a while. I wanted to get them on the same stage. So that they could finally talk and work things out. Miss Piggy: You could've told me. A secret? Ryan Seacrest: Alright, so this comes out in November. But you're on a mission to do something before that Jason? No, I think it was bazillion. Gazillion is to lofty. That's too lofty a goal. We'd never get a gazillion. But we could get a bazillion. Alright, alright. Shoot low. One bazillion hits. Yeah, likes. I don't know how the Facebook works. But I think, with the exception of the Muppets, the only thing people love more is the internets. So combining them, that seems to be a power move. What is one bazillion likes? What's that number? It's a lot. It's a lot of zeros. If you like the Muppets on Facebook, you have a chance to see an advance screening of the movie before it comes out. But it won't be unlocked until we get a bazillion hits. 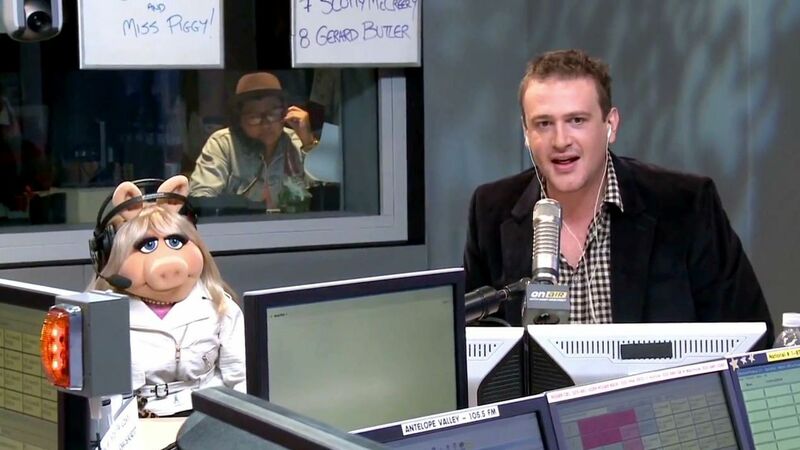 Jason Segel and Miss Piggy on On Air with Ryan Seacrest.